soldiers in unison: I swear by God this sacred oath: That I shall render unconditional obedience to Adolf Hitler, Fuhrer of the German Reich and people, Supreme Commander of the Armed Forces, and that I shall at all times be ready, as a brave soldier, to give my life for this oath. 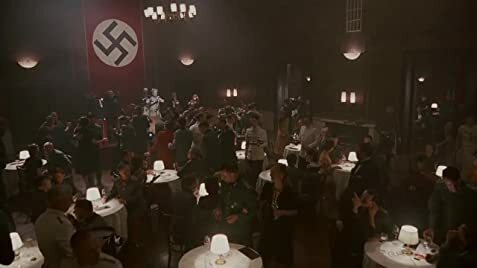 Q: What's all this talk about banning them from filming in Germany? Q: Why didn't they consider a suicide bombing? Q: Why don't they use German accents? "Not only is Singer's film-making aesthetically frustrating (lacking coherent visual rhythm) but his juvenile regard of the July 20, 1944, plot to kill Hitler -- one of 15 documented attempts -- is intellectually insulting..." New York Press The above is the usual negative commentary you'll see regarding this film. Critics bashed it for being insulting, unoriginal, and unmoving. Let me make some corrections for them so that they can save a little face. I'm no Tom Cruise fan. A buddy of mine, too, is so peeved at Cruise that he refuses to watch anything the man stars in. 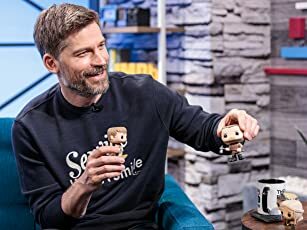 Mostly this has to do with Cruise's personal life and beliefs (just watch an episode of South Park to see how some people view him and you'll see what I mean). People have similar feelings toward Mel Gibson ...but I digress. 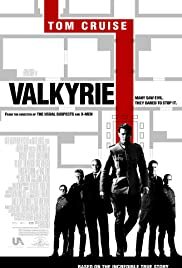 VALKYRIE, as most of you probably now know, is the final of 15 attempts on Hitler's life. Shortly after this (about nine months) he committed suicide in his bunker. But this is about the one time where it almost succeeded. I'd heard about this attempt and read bits of it in history classes, but never really gave it much thought. I mean, the mustachioed murderer offed himself, so that was that. But what gives this film much of its umpf! is how true to history the story sticks (that and how closely many of the actors resemble their true-life counterparts). It is also riveting coming from director Bryan Singer (who did one of my all-time favorite films, THE USUAL SUSPECTS). What makes the film a success was Cruise's rock solid performance and the amazing supporting cast: Kenneth Branagh, Bill Nighy, Tom Wilkinson, Terrence Stamp, and Eddie Izzard just to sprinkle a few names. It is also noteworthy to mention that they filmed nearly everything on-location and in the exact same spots where the original incidents took place, including the subsequent trials and executions of the conspirators. Phenomenal authenticity. If the cadence of their speech bothered some, then I failed to see how the cadence of the film could. It was absolutely perfect. It gradually built up suspense (even though we knew how it would end for the conspirators), and never slowed, right up until the very end. I am forced to use a cliché here in that "I was on the edge of my seat" throughout the second half of the film. So if you're looking to tear apart Tom Cruise, you might look at WAR OF THE WORLDS or LEGEND. But not here.